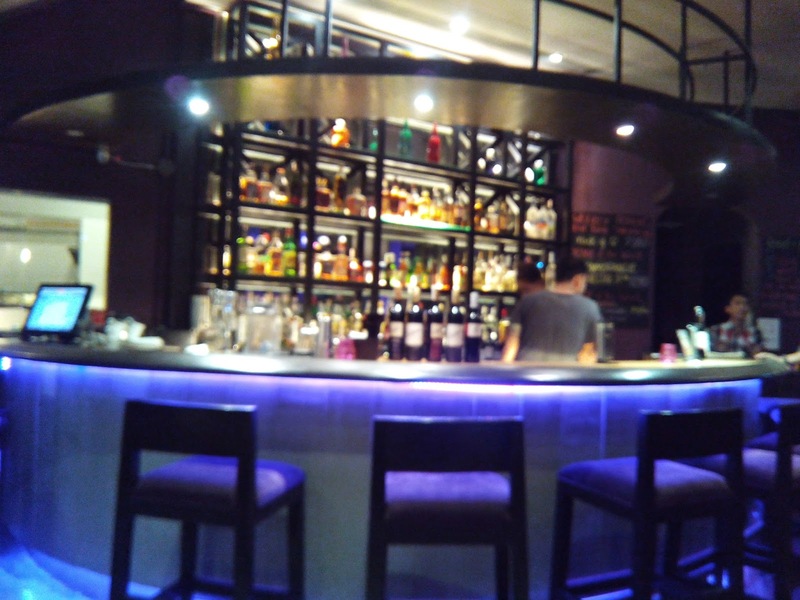 Tucked in the bustling Burgos District of Makati, Alchemy weaves its magic to both locals and foreigner food and drink enthusiasts. 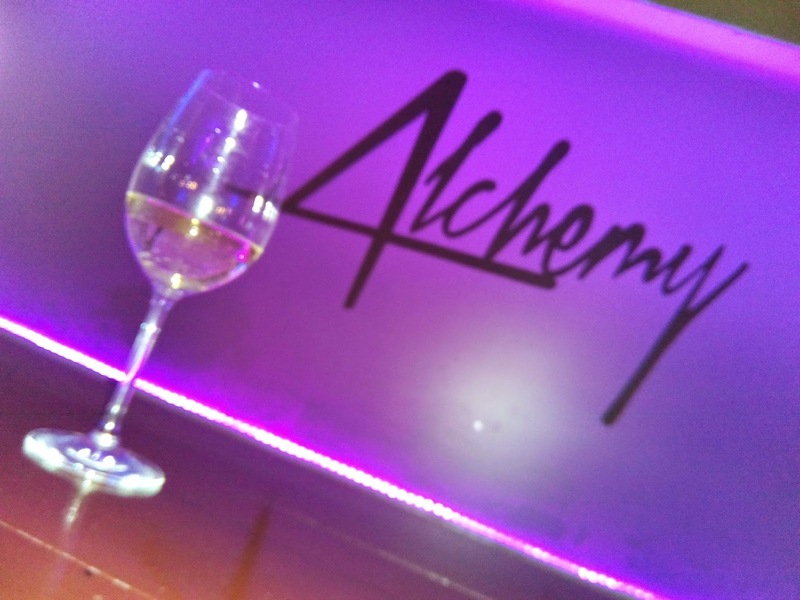 Alchemy is a two-story restobar that offers a lot of surprises. 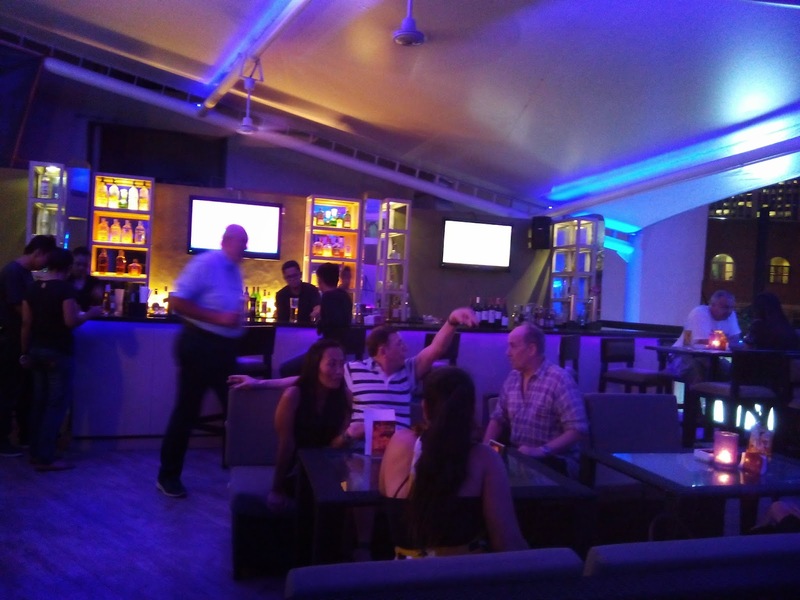 The ground floor has both an al-fresco and indoor dining with a bar area while there's also an al-fresco area on the second floor including a space of live music performances. The interiors are quite interesting also. 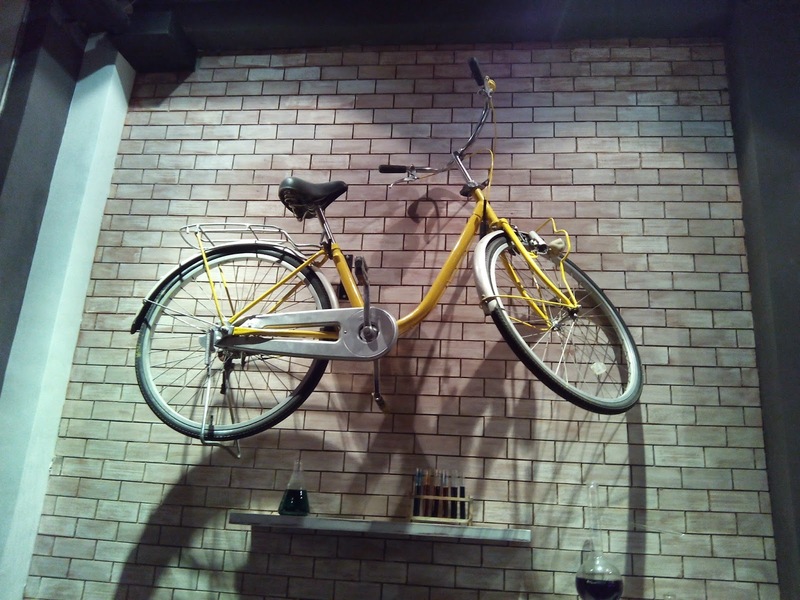 This bicycle on the wall makes me want to ride it. 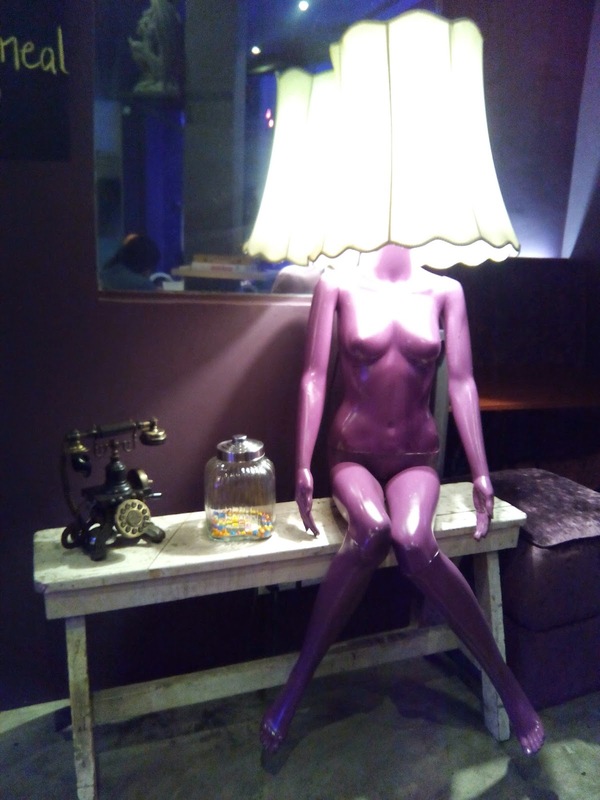 While this lamp is interesting! 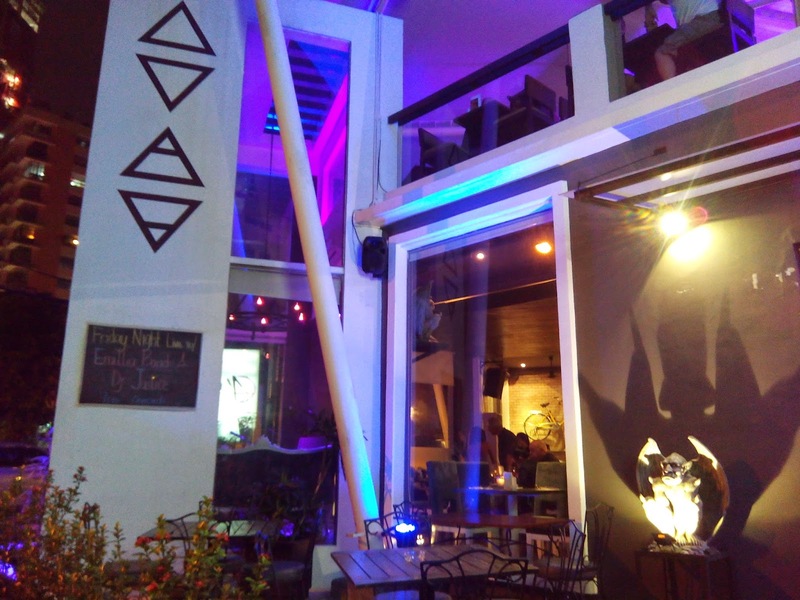 Alchemy also has an outdoor brick-oven for pizzas. Thumbs up! 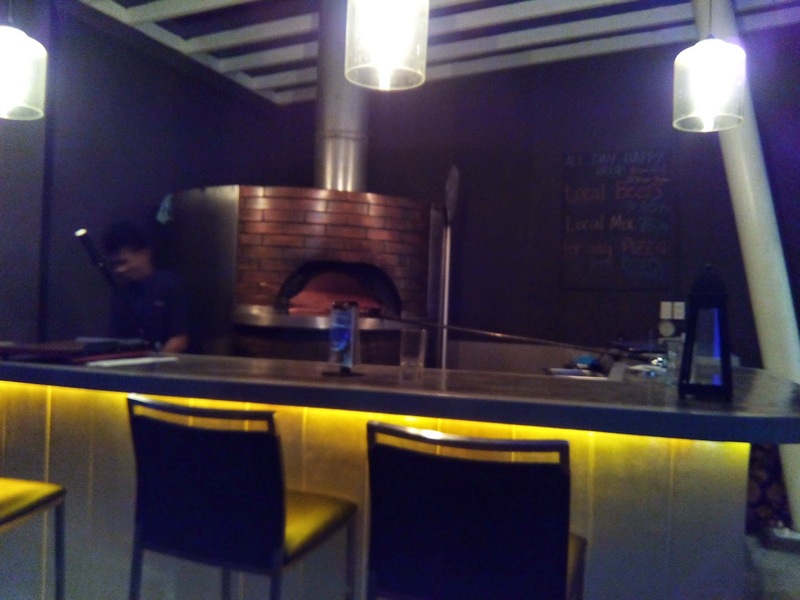 I love pizzas cooked in brick-ovens because of the smokey flavor. 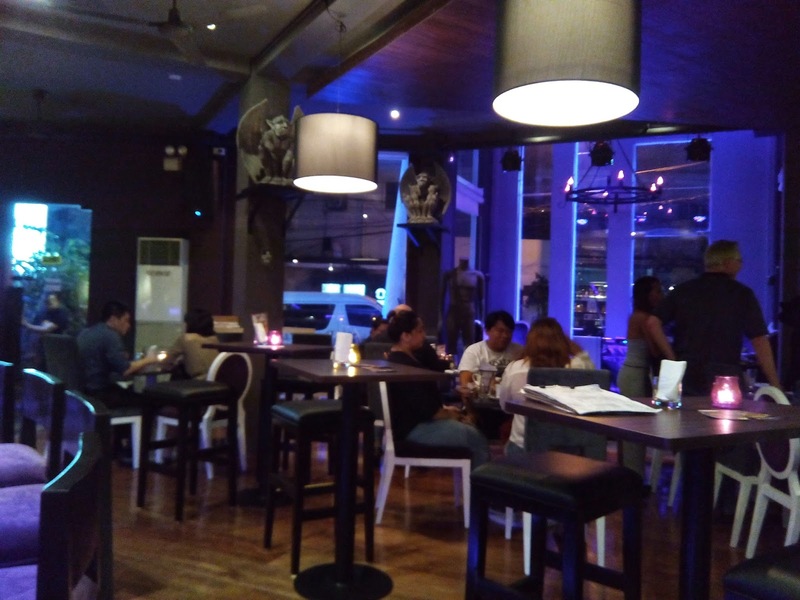 It was the Belgian Chamber of Commerce in the Philippines who was hosting a small get-together at the second-floor area the night we (with two blogger friends) visited Alchemy. 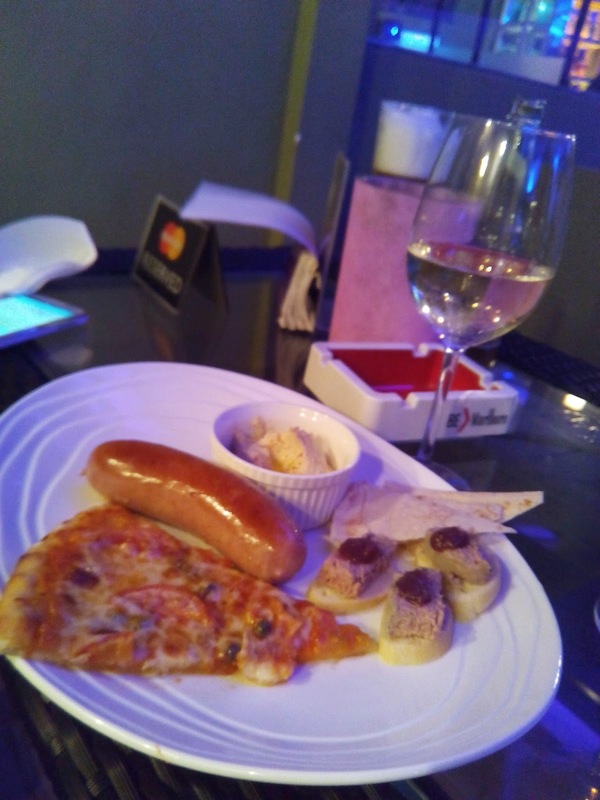 The food was delicious and the wine superb. Wine was provided by Le Cellier.